Established in the year 2008 with an aim to achieve industry excellence, we Veer Electronics, Gandhinagar, are one of the prominent OEM manufacturer, wholesaler, exporter of a wide range of Testing and Electronics Instrument. We also offered Power Analyzer, Iron Loss Testers, Epstein Tester etc. Designed using the latest technology, our range of instruments delivers accurate test results. Our company has a huge distribution network that enables us to deliver our products available to the clients. In these years, we have established our foothold in the Indian market and has acquired many reputed clients. 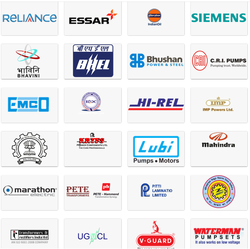 With the assistance of assiduous experts, we are able to cater to varied needs of our customers. The in-depth knowledge and commendable industry experience have enabled us to provide the optimum quality range to our clients at industry leading prices within committed time frame. We have established our company in Gandhinagar, the capital of Gujarat (India). Located in this rapidly developing state, we have acquired immense scope to develop our infrastructure. Under the able guidance of our Mr. Hiren Vasani, we have carved a niche in this sector. His vast industry experience and sharp business acumen have helped us to achieve remarkable progress in this domain. Our organization has a team of expert professionals, which has vast experience in this domain. We select these professionals, based on their skills and industry experience. These professionals are aware of the various parameters and precautions, which need to followed during the production process. Owing to the hard work and dedication of our professionals, we are able to deliver quality range of electronic and digital instruments. Moreover, we also conduct frequent training sessions to keep our professionals abreast with the latest technological developments. 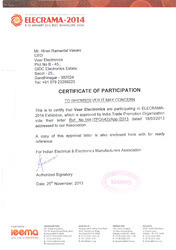 Participation in ELECRAMA - 2014. We are one of the renowned companies manufacturing and supplying a various electronic and digital instruments. Apart from our quality range of products, there are many other reasons for the clients to trust us.